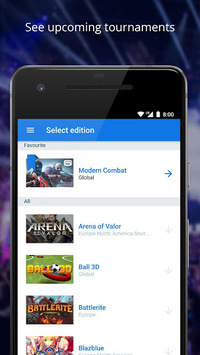 Play on the world’s largest competitive gaming platform directly from your mobile device with the ESL Play App. 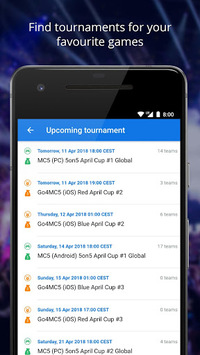 Sign up for cups, get information about your matches and report your results. * Sign up and check in for upcoming cups of your favorite editions. * Browse through all the leagues you are playing or have played in the past. * Check match details of your upcoming matches and past matches. 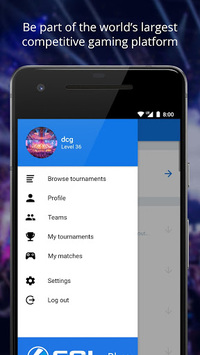 * Submit matchmedia and results for matches you play. For more games visit http://play.eslgaming.com.